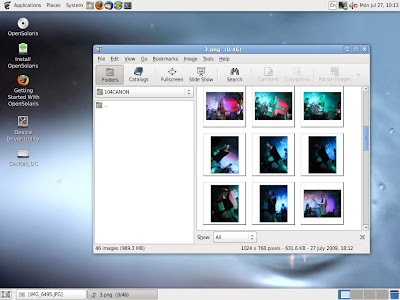 With the pending arrival of Windows 7 (it's great - no doubt about it) and the glamour of Linux, people could be forgiven to believe that no other alternatives exist. Thankfully, there are. 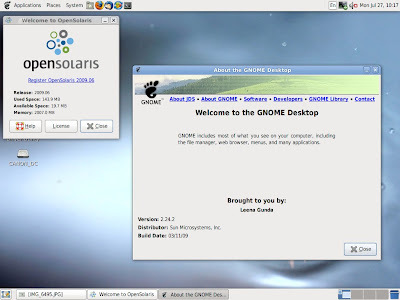 OpenSolaris has always been a favourite alternative OS of mine, and the latest release 2009.06 is a step in the right direction. My 2009.06 Live CD arrived about 2 weeks ago, but I haven't had the chance to play around with it much apart from that one time. I once again booted it up today and found the latest distribution to be very stable. 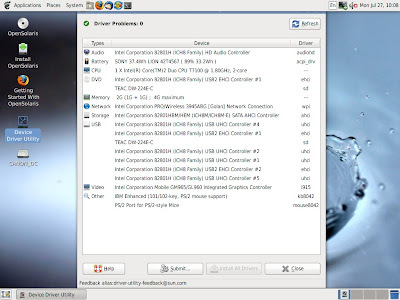 It recognised all my ThinkPad X61 components without any issues, though the same can be said of its 2008.05 release. Some of the bundled apps are outdated, and VideoLan isn't even installed (Totem is included instead - which is a rather useless media player IMO, but this can easily be fixed). 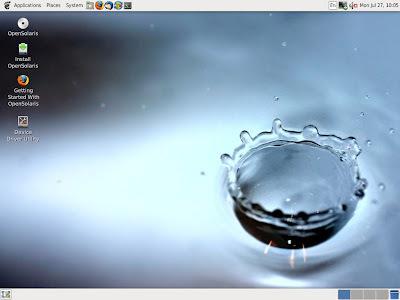 Once I get a new harddrive, I'll definitely be creating a partition for OpenSolaris and Windows 7. Both are exciting enough.